A line of stainless steel and plastic shaft collars, couplings and mounts with bore styles that are compatible with fruit, nut and vegetable convey-ors has been introduced by Stafford Manufacturing Corp. of Wilmington, MA. 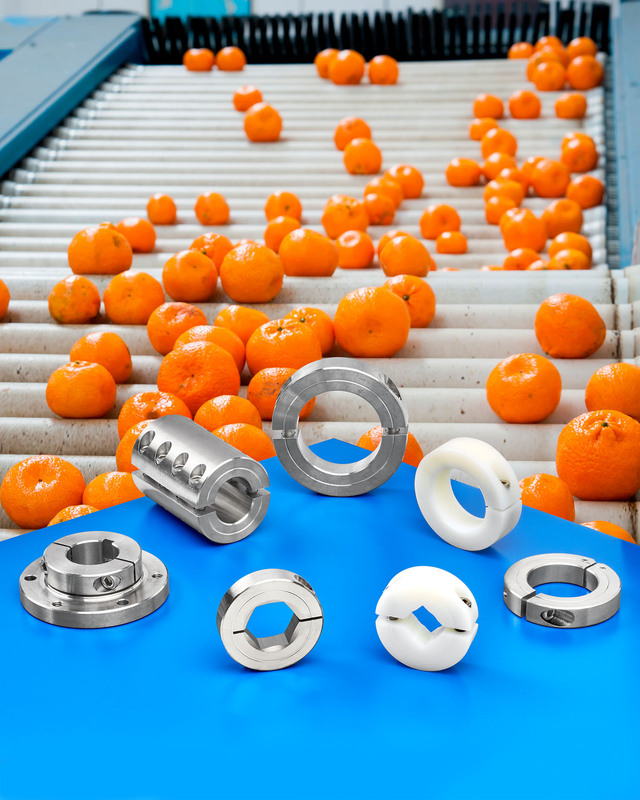 Stafford Shaft Collars, Couplings & Flange Mounts are designed with hex, square, and round bores for use in popular fruit, nut, vegetable, poultry and related conveyors and equipment. Machined from 303 or 316 stainless steel, Nylon, or Delrin® with 18-8 or SST fasteners, these USDA- and FDA-approved materials are ideal for applications requiring frequent washdown. Available as one-, two-piece, and hinged shaft collars and flange mounts, Stafford Stainless Steel Collars, Couplings & Flange Mounts are offered in 0.25” to 14” I.D. sizes, depending upon material, and the Nylon and Delrin® collars come in 1” to 4” I.D. sizes. Special bores, keyways, knurls, and other treatments are offered along with various high temperature alloys.